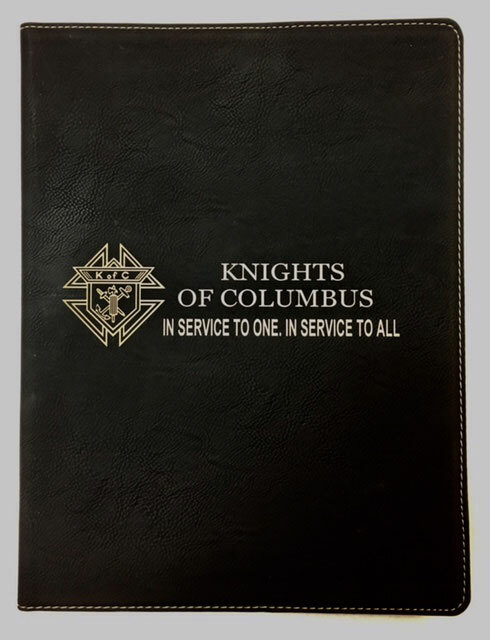 *Easy to carry KofC Black Leatherette Portfolio. 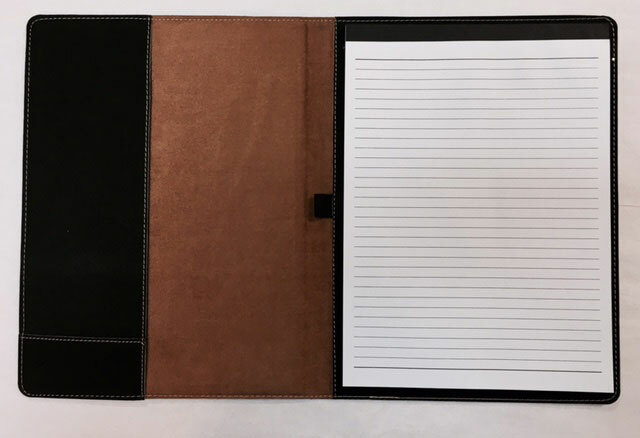 *Includes Size 8 ½” x 11” ruled writing pad. 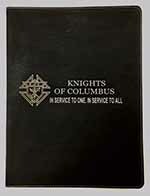 and wording: Knights of Columbus, In Service to One. In Service to All.